Bethesda has a growing selection of fine-dining restaurants to satisfy even the most picky eaters. Choose from southern-style, fine-dining Chinese, authentic Korean, and some of the freshest seafood on the East Coast – all in Bethesda. 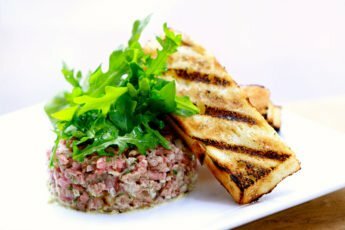 Check out our list of the best dinner restaurants in Bethesda in 2018 and visit your favorite tonight! Barrel and Crow creates humble, southern-influenced cuisine, but don’t let that make you think it’s boring. Start your night at Barrel and Crow with a custom cocktail, wine, scotch, or bourbon from the restaurant’s extensive selection. 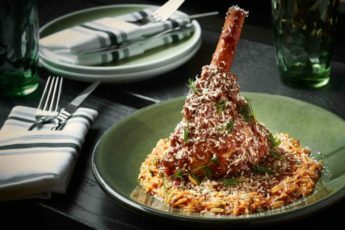 Then choose from a wide selection of entrees – many include perks like house-made pasta or bread created by experienced pastry chef Rita Garruba. Hours: Monday through Thursday, 11:30 a.m. to 10 p.m.; Friday, 11:30 a.m. to 11 p.m.; Saturday, 11 a.m. to 11 p.m.; Sunday, 11 a.m. to 9 p.m.
Peter Chang is infamous along the East Coast for his take on traditional Suician dishes. Q by Peter Chang is his flagship restaurant – in fact, Q stands for “Qujian” which means flagship in Chinese. This restaurant is the largest in Peter Chang’s growing restaurant empire. Hours: Monday through Thursday, 11 a.m. to 3 p.m. & 5 p.m. to 9:30 p.m.; Friday and Saturday, 11 a.m. to 10:30 p.m.; Sunday, 11 a.m. to 9 p.m.
Kapnos Kouzina is Mike Isabella’s third Greek concept restaurant with a unique focus on communal dining. Whether you order many small plates or one large plate, the whole table is meant to share. House of Milae opened in 2013 as the first authentic Korean restaurant in Bethesda. Choose from one of many traditional Korean dishes, or try one of their twists on classic Korean cuisine. Hours: Tuesday through Thursday, 11:30 a.m. to 9:30 p.m.; Friday and Saturday, 11 a.m. to 10:30 p.m.; Sunday, 4:30 p.m. to 9 p.m. This music venue/restaurant in downtown Bethesda is intended to unite all ages around rock n’ roll music. The theme Villain & Saint is reflected on their menu through a mix of traditional bar food and lighter (but delicious) fare like the Roasted Beet Salad. An extensive whiskey and bourbon list completes this unique restaurant. Passage to India is the top Indian restaurant in Bethesda. The head chef trained in Mumbai and has worked in New York & Dallas before settling in Bethesda. He’s cooked for Nelson Mandela and the Clinton family and serves Indian food from all regions of India. Hours: Sunday through Thursday, 11:30 a.m. to 2:30 p.m. & 5 p.m. to 9:30 p.m.; Friday and Saturday, 11:30 a.m. to 2:30 p.m. & 5 p.m. to 9:45 p.m.
PassionFish Bethesda is devoted to the freshest East Coast seafood and head chef Jeff Tunks mission is to serve the very best seafood in Bethesda. Plus, an extensive Kids Menu makes this spot a welcome place for kids. Hours: Monday through Thursday, 11:30 a.m. to 10:30 p.m.; Friday, 11:30 a.m. to 11:30 p.m.; Saturday, 11 a.m. to 11 p.m.; Sunday, 11 a.m. to 9 p.m.